Hello to our TokyoTreat family! February is a lovely month, especially since it has a holiday filled with it. Valentine's Day! Time to get snacking on Japanese candy to celebrate! This month, we have curated a Japanese snack box with as much love as we could possibly give to ensure that you have a great holiday! While curating, we imagined snacks that could be shared with any sort of loved one -- friends, family, boyfriend, girlfriend, etc. Our goal is to help you enjoy your holiday no matter who you are with in a delicious fun way while sharing your Japan box! 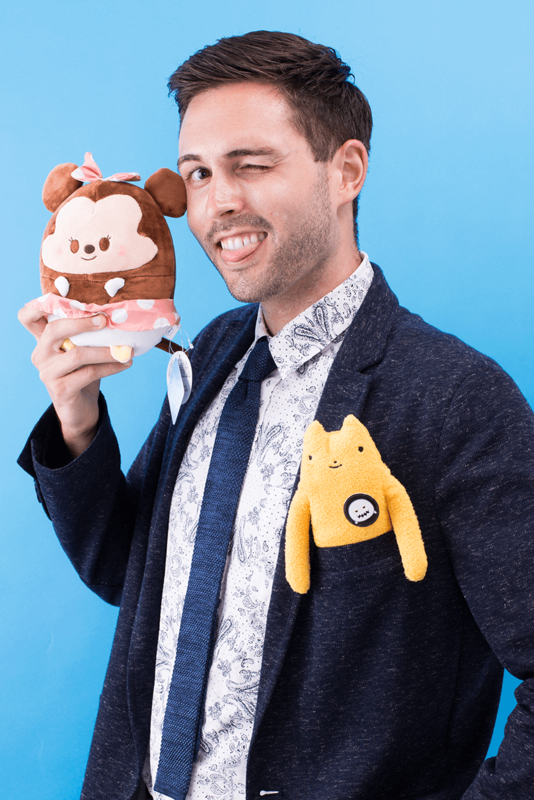 We hope you can feel the love every time you take a bite of these lovely Japanese snacks and that you enjoy the surprises inside! This month, we will also have a photo contest with some amazing goodies and even a free premium subscription up for grabs! Our Lucky Treat this month has some amazing items for all you Nintendo fans out there! Legend of Zelda and Kirby items are jam packed into this totally retro prize pack! Don't worry! All current subscribers are eligible to win this prize, so make to subscribe if you want a chance to win! 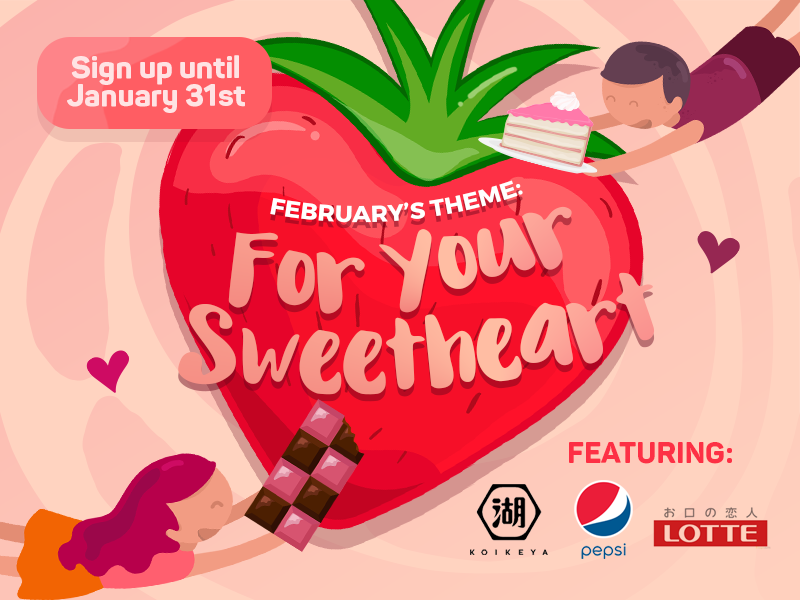 We hope you are ready to feel the love and treat yourself to your For Your Sweetheart February Japan box! Be sure to follow us on Facebook, Instagram, and Twitter to keep up with hints, reveals, and other news about this upcoming box! To get February's For Your Sweetheart box, be sure to subscribe before January 31st!